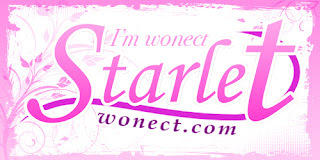 Wonect's Box this month included a Visee eyeshadow palette, which I have seen in drugstores. 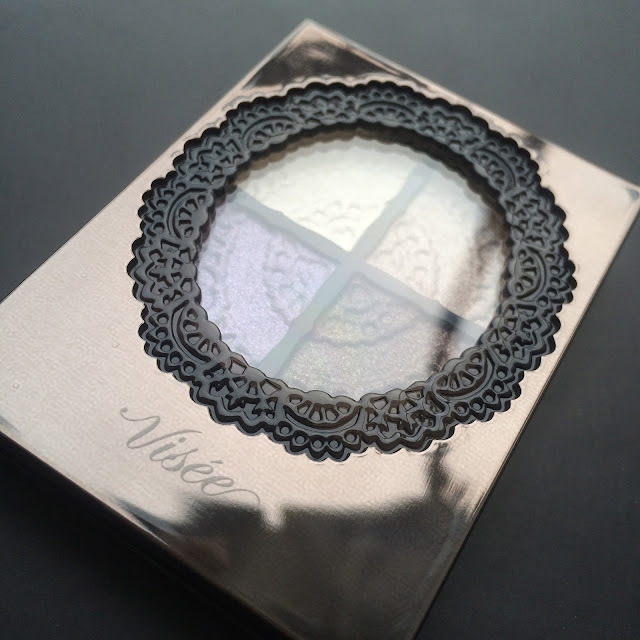 Visee is a popular Japanese makeup brand and their packaging reminds me a little of Anna Sui's cosmetics- dark, lacey and glamorous. The quad is housed in a reflective case which comes with a little applicator and let's take a moment to appreciate the lace detail of the powders. Pretty! 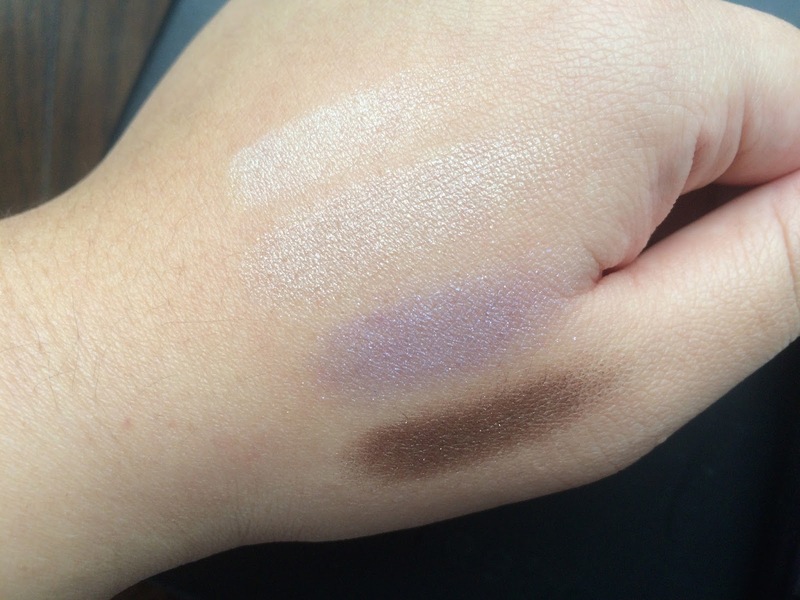 The texture of these eyeshadows aren't powdery but more on the soft, creamy side- almost like a cream powder. On the back of the packaging is an illustration of how you can use the colours, this look utilizes all the eyeshadows in the quad. I suppose you could also use the colours on it's own- which is what I do for day looks, I usually just stick to 2 instead of using all 4. The colours are true to pan, and I really like how the colours aren't too strong. I usually avoid keywords in eyeshadow descriptions like "glossy", "sparkle", "shimmer" because they rarely look good on my hooded lids, but these complemented each other well. 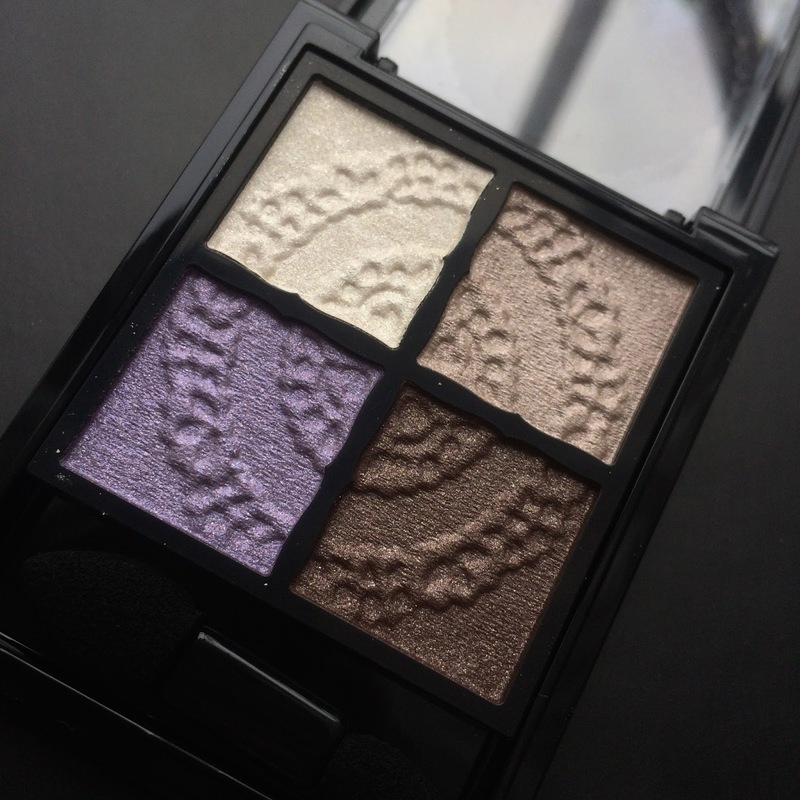 The glossy colour wasn't overly reflective but instead added a soft glow to my lids. Incomplete look without eyeliner, but here I used all the colours as per suggested on the back of the packaging. I've always admired those who can get away with just eyeshadows and still manage to look polished. Me? I always look half-asleep if I don't finish off with a thick layer of black liner. 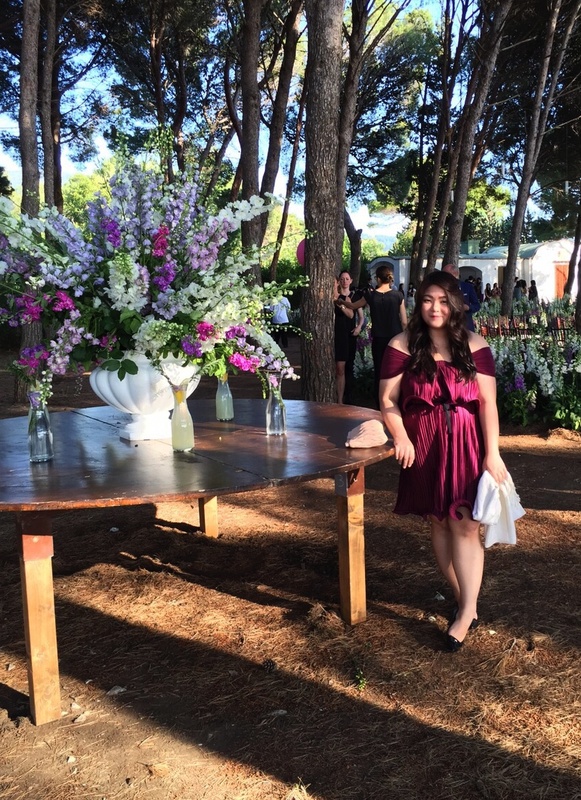 My complete look! A berry lip to match the purple lids, and I have a look which is great for day and night. I never would have picked purple and brown to share a quad but it works! It took me less than 10 minutes to do up both eyes. I highly recommend this quad as it blends easily without any fallout and I did not experience any irritation at all. 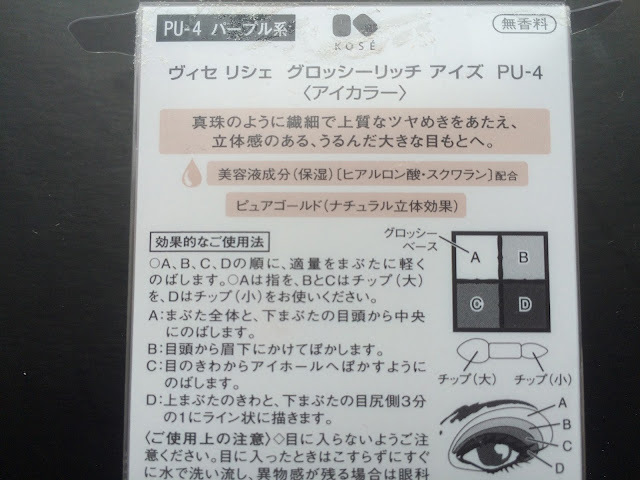 Interested in the Visee Glossy Rich Eyes (PU-04)? Check out the link below!